25-Year-Old Woman Killed In Vehicle Crash On State Road 811 | Schuler, Halvorson, Weisser, Zoeller & Overbeck P.A. 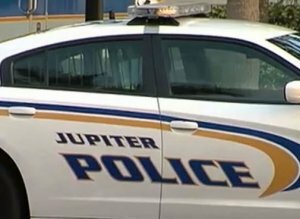 A 25 year-old woman was killed in a fatal crash involving a scooter and a Ford Explorer on State Road 811 in Jupiter. Emergency services responded to a crash involving a scooter and a Ford Explorer along State Road 811. The northbound lane of the road was littered with debris after the two vehicles collided close to a junction. According to police reports, the Ford Explorer was traveling southbound on State Road 811 when it attempted to navigate a turn onto old Jupiter Beach Road. It was halfway into the turn when it strayed into the path of a scooter that was traveling in the northbound lane. The scooter swerved slightly to avoid colliding with the vehicle, but it was too late as it struck the passenger side of the Ford Explorer. The two riders on the scooter were thrown off their vehicle onto the asphalt. The driver of the scooter sustained severe head trauma and was taken to the hospital in an ambulance. She was later pronounced dead after she succumbed to her injuries at the hospital. The second rider on the scooter also sustained critical injuries in the crash, but is said to be in a stable condition at the moment. The driver of the Ford Explorer has been taken into police custody. His front seat passenger told Police that they had both consumed a large amount of alcohol a few hours before the crash.